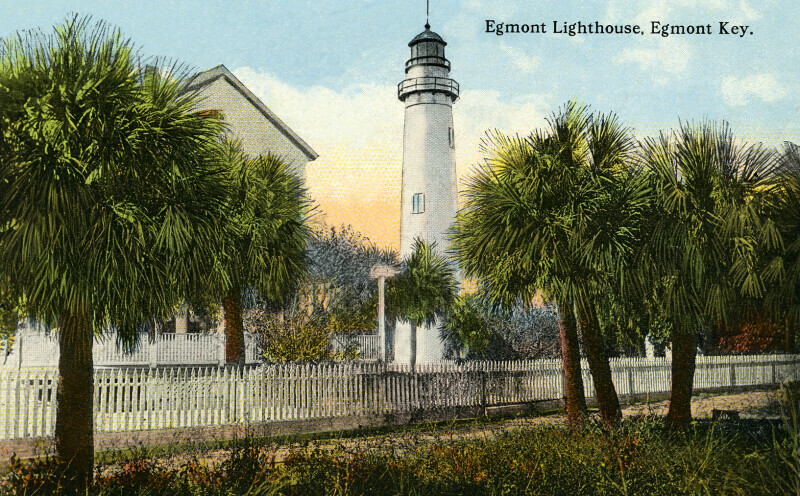 The Egmont Key lighthouse is a tall, white, cylindrical building. The optic section is covered by a black dome. In the foreground, there is a road, with palm trees growing sporadically, on both sides. To the left, mostly obscured by palm trees, there is another building. A white picket fence runs along the side of the road.